If you’re like me, you’ve been intrigued by reports about the possible links between diet, gut health, and autoimmune diseases. It makes sense that they’re connected, given that the gut accounts for the large majority of our immune systems’ activities. And recent studies have shown that some intestinal bacteria get out of whack for people with autoimmune diseases. But solid scientific consensus regarding which foods or other factors lead to this state of affairs is still lacking. So I’ve been waiting until more evidence is in before making any major changes to my diet. Gut Health and Joint Pain: What’s the Link? A few months ago, quite unexpectedly, I discovered a link between what’s going on in my gut and my rheumatoid arthritis symptoms. For reasons beyond my control, to put it politely, my system completely emptied out. Completely. Clean as a whistle, like the best colonoscopy prep a gastroenterologist could hope for. And shockingly, my joints suddenly felt much better. So much so that I stopped taking my NSAID for the first time in years (for the record, I also take a DMARD). As I began eating again, I focused on eating more anti-inflammatory foods than before (veggies, fish, you know the drill), but never cut anything out completely. This welcome state of affairs continued for a few weeks. Then, over a couple of weeks, my RA symptoms resurfaced. If there were some kind of link between my gut and my RA, I thought, why not try figuring out if I could somehow modify my gut to improve my RA symptoms? I briefly considered getting some testing done to detect the types of bacteria in my gut. But the science is still in its infancy regarding intestinal flora imbalances associated with RA. Plus, those tests can be expensive. I decided to look into elimination diets instead. 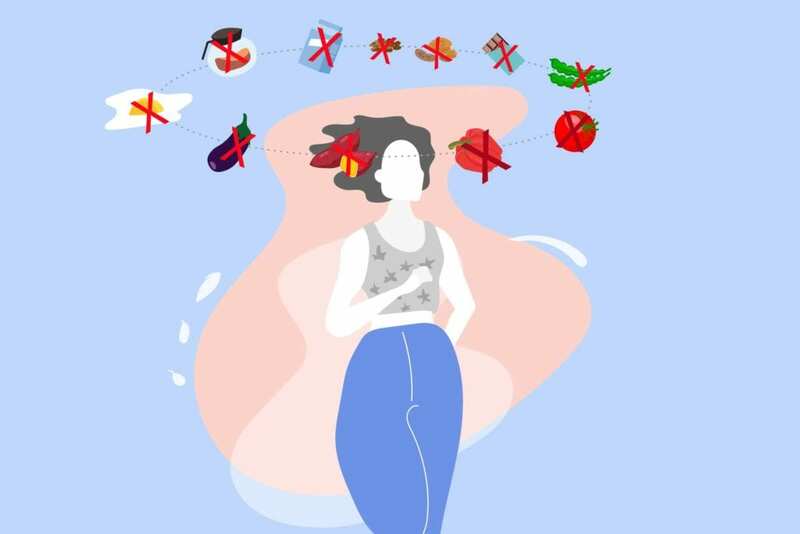 These plans require you to strictly limit the types of foods you eat for a period of time (typically at least a month), and then reintroduce foods while you monitor for a reaction. Some websites suggest trying an elimination diet to see if you can pinpoint troublesome foods that contribute to inflammation; others caution against them. I thought I could at least take the idea out for a test spin over a couple of weeks and then reevaluate. That short a period of time, I reasoned, would give me an idea of what it’s really like to commit to the restrictions of an elimination diet and would be safe enough without having to consult a doctor beforehand. The idea also appealed to my slightly nerdy bent for going about things scientifically. I loved the idea of setting up a carefully controlled experiment, then changing up some variables to see if there was some kind of effect. At least, I loved it theoretically. There are several potentially suitable elimination diets to choose from, I discovered: Specific Carbohydrate Diet/SCD, Gut and Psychology Syndrome/GAPS, Whole30, and the Autoimmune Protocol/AIP. All are highly restrictive in the beginning. The one that floated to the top for me because of the sheer volume of information available online was the AIP diet. AIP is a more restrictive version of the paleo diet. I braced myself for the reality that I couldn’t have any food that contained tomatoes, potatoes, eggplant, peppers, dairy, legumes, sugar, seeds, nuts, soy, nut- or pepper-based spices, eggs, coffee, alcohol, or grains of any kind. I also had to forgo all food thickeners, emulsifiers, stabilizers, or preservatives lurking in prepared or processed food. The hardest parts for me would be eliminating dairy, bread, pasta, tomatoes, and sugar. So naturally, the night before I started my test-run diet, I had wine with cheese and crackers, followed by pasta with red sauce, and finished off with ice cream! The diet itself started off a bit inauspiciously. Days one and two began with stomachaches right after uncharacteristically meaty breakfasts. By day three, I had a near meltdown while attempting to eat lunch out at a restaurant. I thought I had found a nice little “build-your-own-bowl” kind of a place, but realized none of the protein options would do, either because they were marinated or contained soy. My lunch ended up being lettuce, avocadoes, and onions. For the rest of that afternoon, I really wanted to eliminate the elimination diet. It was too limiting. I was too hungry. Waah, waah, waah. But then I reminded myself that I wanted to conduct this experiment just a little longer. When I got home, I flung open the refrigerator, grabbed a chicken carcass, and started tearing it apart limb from limb like a ravenous she-wolf, eating greasy bits of meat out of my hands while leaning over the kitchen sink. On top of the stomachaches, I also experienced a relentless headache for most of the first week. Apparently, such symptoms are not uncommon as your system adjusts to the new regimen. From there, it got better. Dinners (cooked by me, at home), were delicious and frequently superior to my pre-diet fare. To get those results, however, was time-consuming; it was like holiday cooking for regular life. Pretty much everything had to be scratch-cooked to be AIP-compliant. Canned chicken stock was a no-no for several reasons, including the fact that it can have potatoes in its “natural flavorings.” (I wrote the manufacturer to check.) Any coconut milk I could find had guar gum, preservatives, and/or sugar. Fresh vegetables started taking over my refrigerator, so numerous I could no longer contain them in the requisite bins. Not a single vegetable in my care spoiled during this time, including a giant Costco bag of baby carrots (carrot-ginger butternut squash bisque was a real treat; see recipe below). I batch cooked. I made zoodles and cauliflower rice. I enlisted the help of my husband and my food processor to chop-chop-chop-chop-chop. By the end of the first week, I could tell I was getting used to the diet when I saved a recipe for cauliflower oatmeal. A mere week earlier it would have sounded completely revolting. By the second week of my two-week trial, I started to have some concerns. Organic, grass-fed meats — a mainstay of the AIP diet — were in short supply in my area. When available, they were very expensive, as were the allowed flours, snacks, and other specialty items like coconut wraps that I managed to find at the health food store. I also realized that the reintroduction phase for the AIP diet does not expect you to EVER return to eating many of my old favorites, including gluten-containing grains. Concerns continued. Would I somehow cause food sensitivities by avoiding certain foods I used to eat regularly, I wondered? There is some evidence that this can occur with dairy because specific bacteria and enzymes in your gut diminish during the elimination period. Might I be creating an iodine deficiency by using only sea salt instead of iodized table salt? Could I be inadvertently raising my cholesterol with the increased consumption of meat? Might I permanently change my sense of taste? Would I be able to really detect if I was having a reaction when I reintroduced a food? From what I could see from social media posts, signs of a reaction were sometimes subtle, inconsistent, and delayed, potentially making the elimination phase drag on for many months without yielding the obvious clues I sought. And particularly disturbing to my inner nerd: The fact that I was eating foods during the elimination phase that I never had before (notably cassava) was potentially mucking up the experimental design by introducing a confounding variable. Hmmm. By the time my self-imposed two-week trial was up, I was ready to take a break and reassess how to proceed. I reintroduced grains, nuts, and dairy over a couple of weeks, while still devouring heaps of fresh veggies and keeping processed food at arm’s length. At this point, my “gut” is telling me to pursue a more healthful eating approach before deciding to take another run at an elimination diet. I found it very difficult to sustain perfect compliance with all of the restrictions over a short period of time; managing a longer elimination period followed by a many-months-long reintroduction phase simply became too daunting to consider. While my inner nerd loved the scientific integrity of the elimination diet concept, my inner child wanted carbs. 2. I pay more attention to how I’m feeling after eating, and in particular, what might be the precursors to increased pain. I realized I sometimes have swollen fingers after eating certain foods. 3. I am much more aware of how ubiquitous food additives are. In fact, what many anti-inflammatory diets have in common is reliance on whole, unprocessed foods. Recent research revealed a possible link between dietary emulsifiers and inflammation. Perhaps simply curtailing processed foods — without avoiding any specific food groups — might yield the most bang for the buck? Finally, a shout-out to those who have solved their own personal food puzzle and improved their health. There clearly are many people out there with autoimmune diseases (including IBD, autoimmune arthritis, thyroid disease, and others) who have methodically figured out what they can and can’t eat, and have benefitted greatly from the experience. 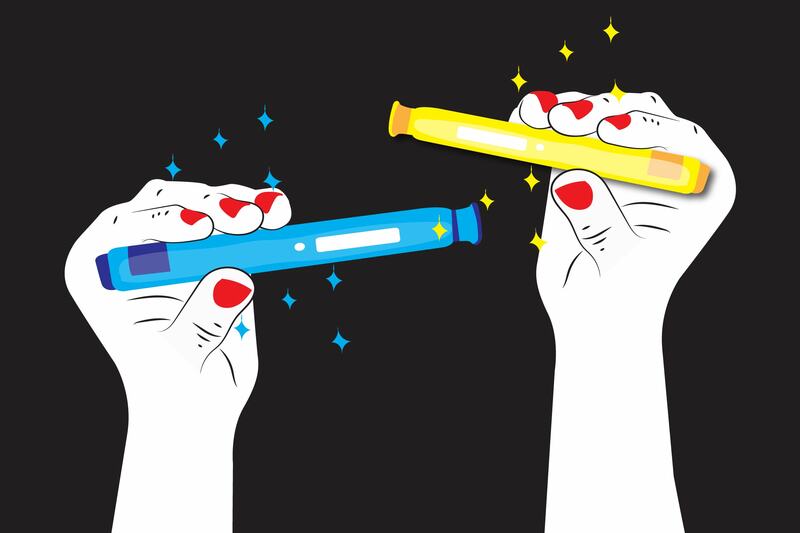 Some say they have reduced or eliminated their medications, at least for a while. While I definitely would NOT recommend stopping any meds without consulting a medical professional, my hat is off to the people who have made positive changes in their health through diet. They deserve the highest award for citizen science, if there is such a thing. With their inspiration (and great recipes), I will keep working to make my own improvements. And hopefully one day not too long from now, our collective experiences will enable science to decode the gut-autoimmunity link — and help us know what to eat (and avoid) to feel well. This satisfying soup is creamy and delicious, and smells divine while cooking. Measurements are approximate; adjust to fit your taste and available ingredients. Serves 4-6. Briefly heat the oil in a soup pot. Add garlic, onion, and half of the ginger, and sauté for 1-2 minutes on medium-low heat until onions become soft (without browning garlic). Stir in cinnamon, nutmeg, and salt, and continue cooking for 1 minute. Add chopped carrots and squash cubes and sauté for another 3-4 minutes. Add broth and apple cider vinegar and bring to a boil, then reduce heat and simmer for about 20 minutes or until vegetables are tender. Can a ‘Low-Residue’ Diet Help Crohn’s Disease? 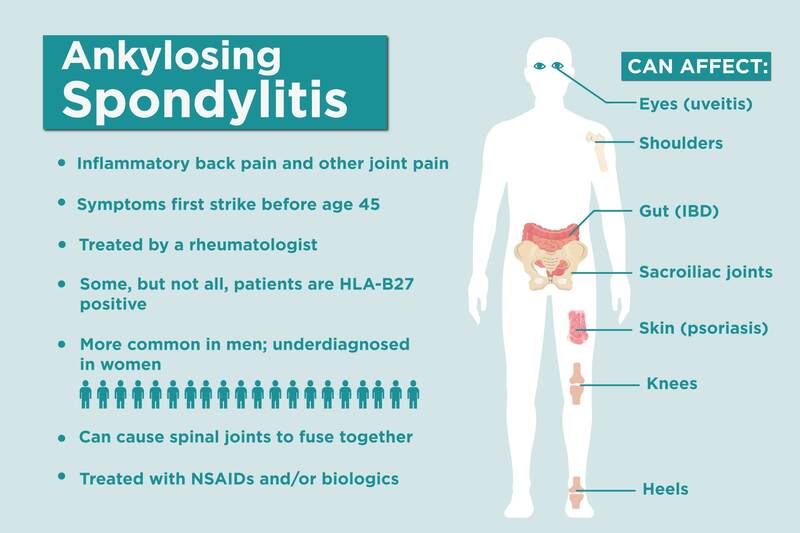 The HLA-B27 Gene and Ankylosing Spondylitis: What’s the Connection?